Nibbing on a bit of BMW tradition with the ArtCar the Americans at Tesla decided they could get equal success with the same concept. 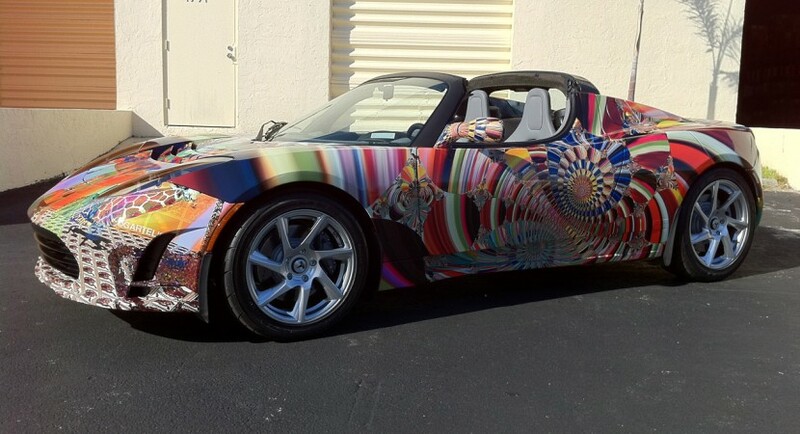 So here we are with the Tesla Roadster ArtCar and I can’t really figure out what’s it about. With BMW the ArtCar is all about the serious racing pedigree that’s covered up by a striking exterior. With Mini, the entire process is about customization. And the same thing is what you get with the Fiat 500 Bicolore even though it’s as simple as it gets. With the Tesla Roadster ArtCar I can’t imagine it being nothing other than a trait of exclusivity as to be honest it doesn’t go a long way in terms of style. The creator behind the mechanical bits is definitely Tesla but who did the artsy part for the electric car? The artist involved in this creation is the reasonably famous Laurence Gartel. Laurence Gartel has quite a lot of experience into art and specifically targeting cars. 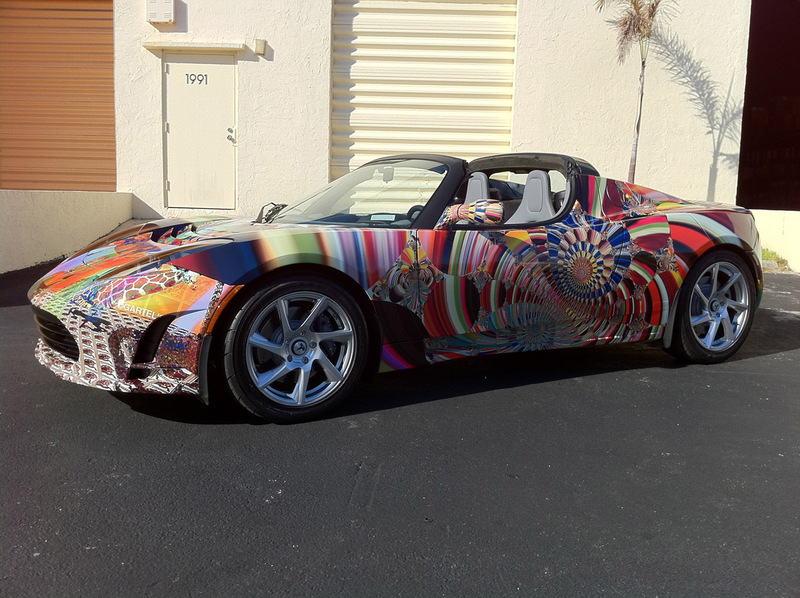 With experience spanning back to the 70’s Gartels is quite the artist and since he added the Tesla Roadster to his portfolio he can retire a happy man.